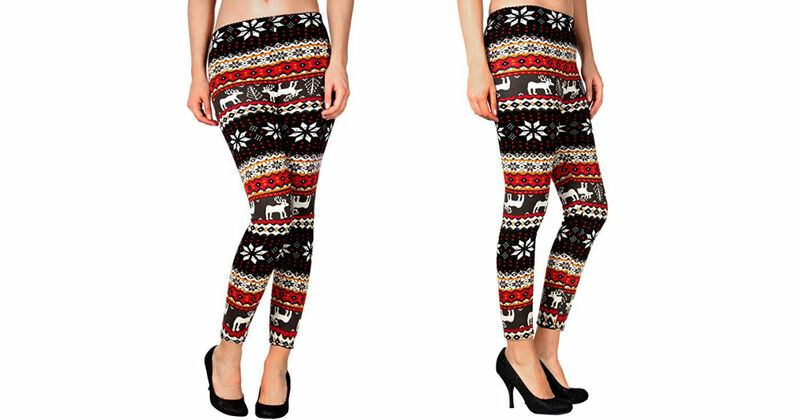 Get these Simplicity Women's Nordic Snowflake Reindeer Knitted Fleece Lined Leggings for only $5.94 on Amazon, regularly $37.99. Luxuriously soft spandex makes this the perfect combination of function and fashion. Simple winter prints enhances outfits such as dresses, skirts, and shirts/sweaters.